tubers for packing. Suitable for organic production. Medium to high number of tubers, regular calibration, medium to high marketable yield. Long oval, smooth yellow skin, shallow eyes. Yellow flesh colour. Medium tall, red violet flowers, foliage development hesitant. Solo can be produced on all types of soil, preferable are soils of good agronomic management and water supply. Treatment against Rhizoctonia solani is recommended. 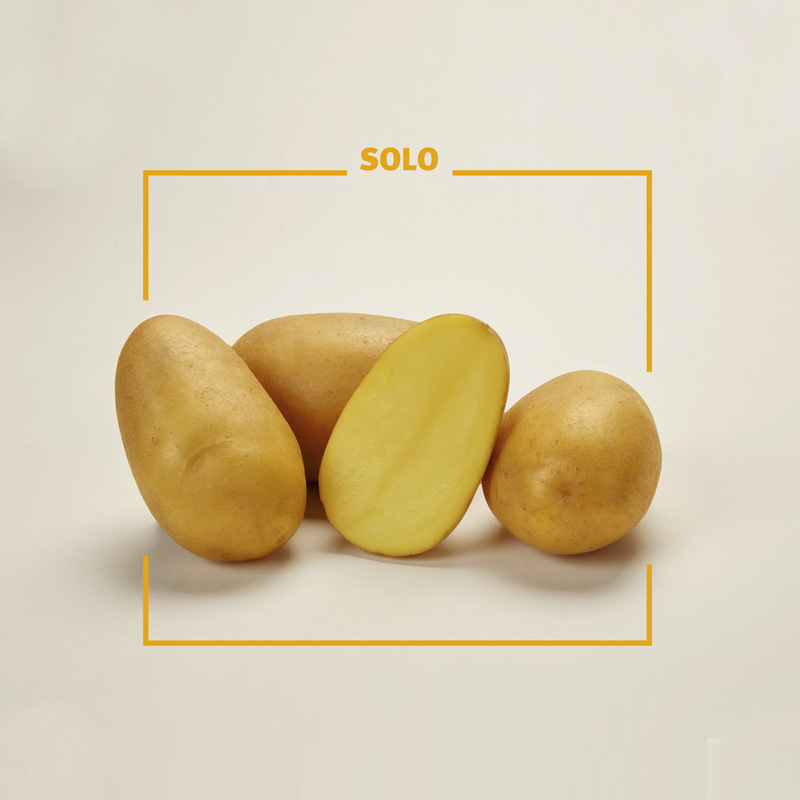 Solo should be planted with 33 – 34 cm in a 75 cm row. Avoid planting in cold and wet soils. Planting by All-in-one system should be done a little bit later. N-supply: above average (up to 160 kg N), Phosphorus: 100 kg Potassium: 250 – 300kg / ha (preferably sulphate), Magnesium 80 kg / ha. No sensitive reaction by using metribuzin, routine protective control of early blight and late blight.